Astronomers at the Harvard-Smithsonian Center for Astrophysics have discovered two worlds in an aged solar system that are about to become a snack of cosmic proportions. Their star is a planet-eater. 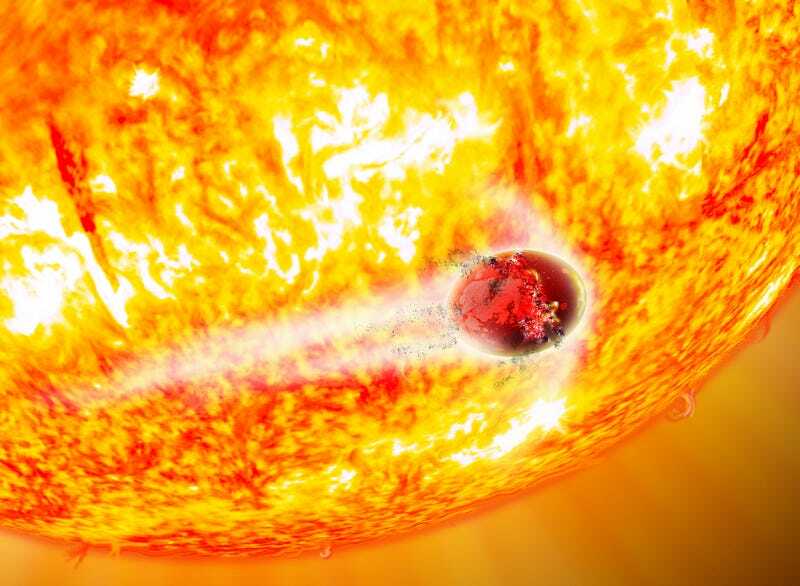 As Kepler-56b and Kepler-56c move closer to the steadily growing star, the intense heat will boil away their atmospheres and the stellar tides will stretch them to the point that they become egg-shaped. The only survivor in the system will be Kepler-56d, a gas giant planet orbiting at a safe distance more than 10 times farther out than its doomed siblings.